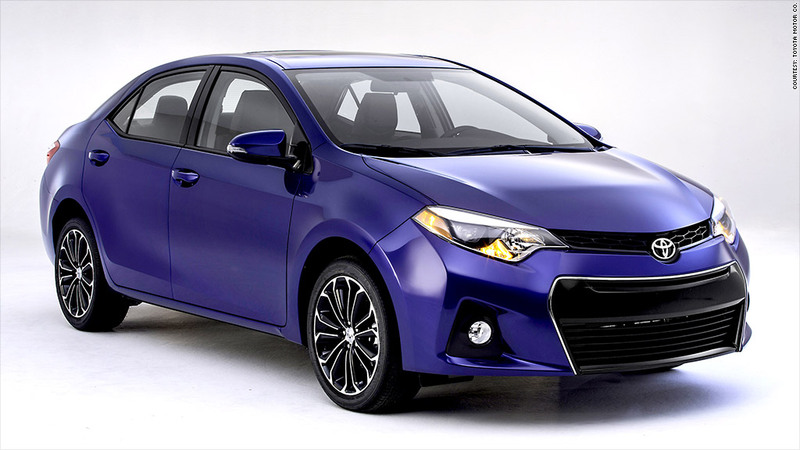 The Toyota Corolla has been redesigned for the 2014 model year. The redesigned Toyota Corolla struggled in a new crash test conducted by the Insurance Institute for Highway Safety, the group said this week. "Structural performance was poor and the driver's space was seriously compromised by intruding structure," the institute said of the Corolla, which is one of the world's most popular cars. "Measures from the dummy indicate that injuries to the left lower leg would be possible in a real-world crash of this severity." The Corolla has received good ratings in the institute's four other tests: moderate overlap front, side, rollover and rear. Toyota spokesman Michael Kroll said in an email that the IIHS "periodically develops new, more severe or specialized tests that go beyond federal requirements." "With the small over-lap test, the Institute has raised the bar again, and we are responding to the challenge," Kroll said. "We are looking at a range of solutions to achieve greater crash performance in this area." 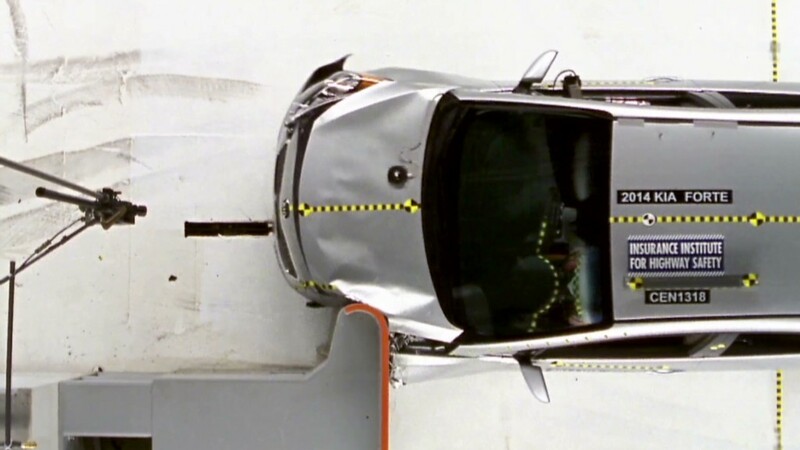 This year marks the first time that compact cars have been subjected to this new type of front crash test. In the test, the cars are propelled at 40 miles an hour and strike a crash barrier with just one quarter of the front bumper on the driver's side. That concentrates the impact into a small area that often falls outside crash protection structures built into the cars. The impact also spins the car violently. The test mimics a type of impact that accounts for nearly a quarter of all front crashes that cause serious or fatal injuries to front-seat occupants, and has proven challenging for a number of automakers. The IIHS put 12 other compact cars through the small overlap front crash test earlier this year. The 2- and 4-door versions of the Honda Civic were the only vehicles to receive the top rating of "Good," while the Dodge Dart, Ford Focus, Hyundai Elantra and Scion tC were rated "Acceptable." The Chevrolet Sonic, Cruze and Volkswagen Beetle were also rated "Marginal," while the Nissan Sentra, the Kia Soul and the Kia Forte earned the worst possible rating, "Poor." When the IIHS put a group of luxury cars through the same test last year, only two cars out of 11 got top marks. The Institute has also put small SUVs and mid-sized cars through the test, with the Toyota (TM) Camry and the Toyota Prius v hybrid wagon rated "Poor."